How to play bass chords! Need help learning how to play bass guitar? Try 120 Bass Chords and learn all the main bass guitar chords and their finger positions on the fret board! 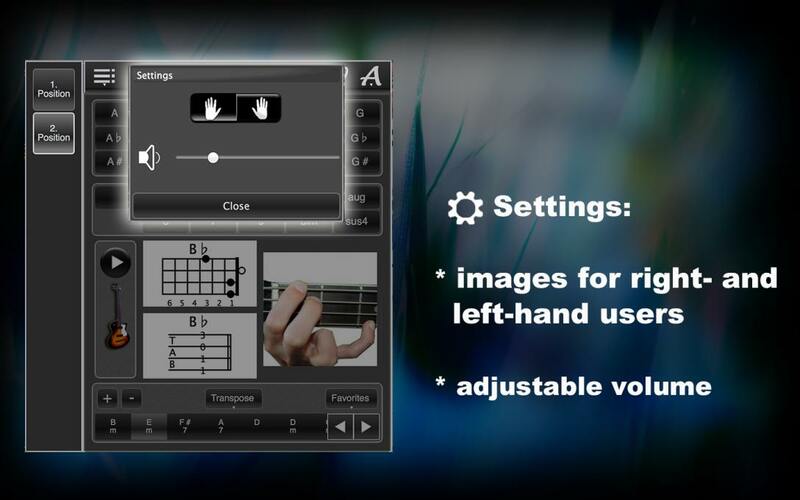 This app is suitable for beginners as well as more advanced players, supports left- and right-handed bass guitar players, and it lets you explore all the chords with authentic bass guitar sound! Adjustable volume? Retina graphics? Check and check! Play around with the bass guitar chords, learn them as you go or create your own chord sequences for your future bass guitar practice sessions or for your favorite bass guitar music pieces! This is how it works: you select a key and the type of chord you want, and 120 Bass Chords will show you this chord three ways: as guitar notes, as frets and as a picture with the finger position on the bass guitar fret board. Play this chord with authentic bass guitar sound and learn its finger position and its guitar notes. 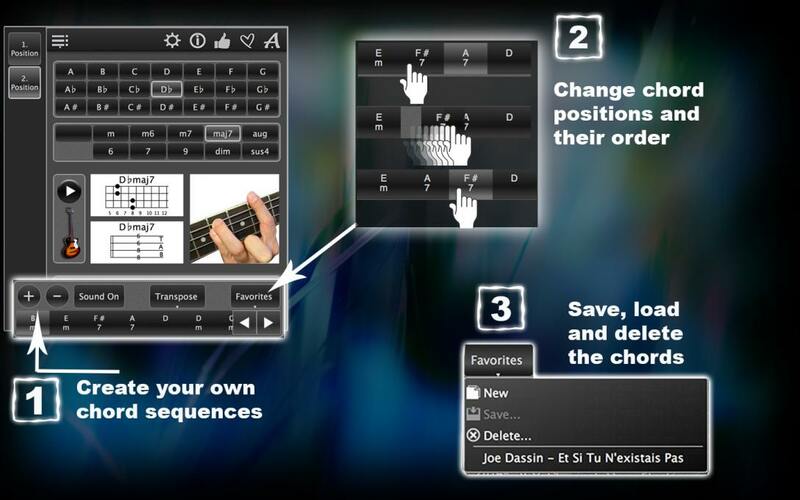 To create a chord sequence, click on the plus sign and select your next chord. When you have the chords you need, you can save them as a bass guitar chord sequence in Favorites. Save as many chord sequences as you like, and delete the ones you don’t need! You can also change the order of chords in your sequences any time you want. Would you like to sing along with your bass guitar chords? 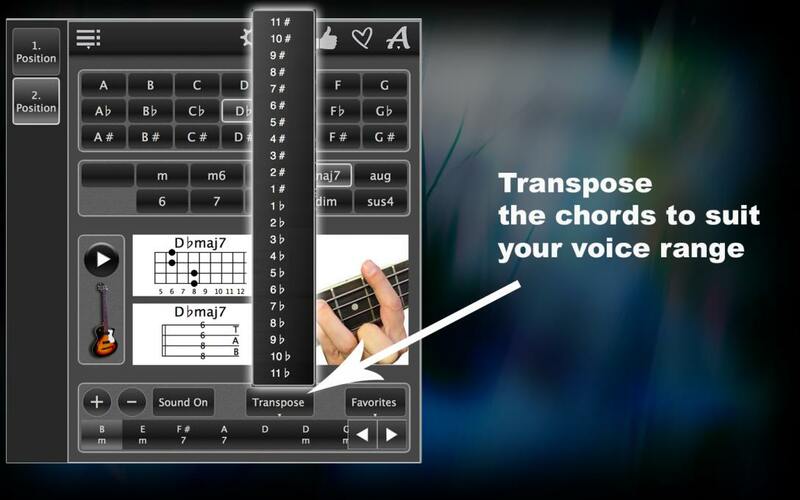 Transpose your chord sequences up or down to accommodate your singing voice! Go ahead, explore bass guitar chords with 120 Cuitar Chords! Download it today! 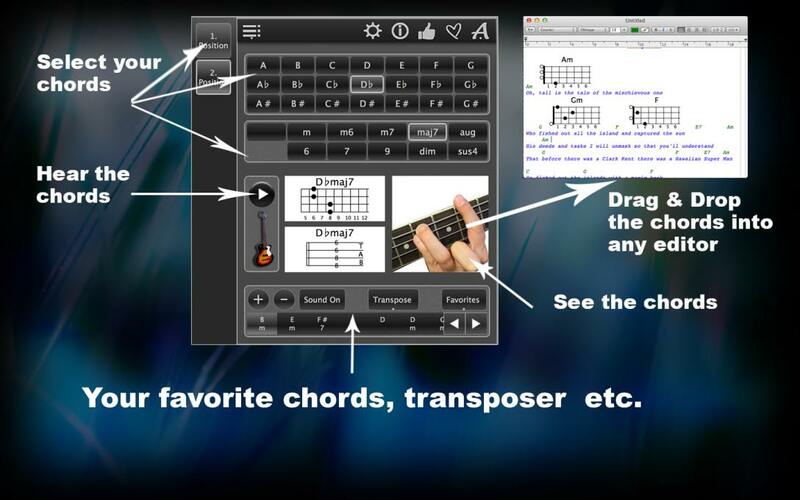 Try our FREE version of Bass Chords Lite! Hi, I was wondering if you can clarify this. Is kinda dumb but when you choose between right or left hand, are you referring to the hand that is in the fretboard?. Playing guitar or choosing a bass you refer to the strumming hand. Any way can you direct me into what hand I am? I use my left hand on the fretboard. Carlos, the right-handed player means you using the left hand on the fretboard. Left-handed players using the right hand on fretboard.